Bulwell has a community of stray cats. Cats Protection has been working with Bulwell residents since September 2016 to control cat numbers and make sure they are well looked after - this will be good for the community and for cats. We have now neutered over 100 cats in Bulwell. 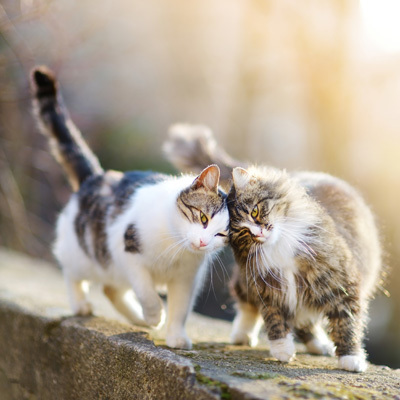 We continue to work with community cat carers in Bulwell and have been providing outdoor cat shelters through our partnership with Nottingham Probation Trust. We can sort things out by keeping tabs on the strays, but we still need your help. Talk to us about cats in Bulwell and Bulwell Cat Watch, stay in the loop on the latest and find out how you can get involved. Keep an eye out for our community events and talks and other events we attend. All information is posted on Facebook.